Infiniti vehicles bound for shipment at a port in Hitachi City, Ibaraki Prefecture, Japan, on Feb. 7, 2014. WASHINGTON -- The European Union, Japan, Canada, Mexico, along with automotive trade groups, Volkswagen AG, and the UAW are among those scheduled to testify at a July 19 hearing on the Trump administration's investigation into whether imported autos and parts pose a national security threat, according to a document seen Thursday by Reuters. 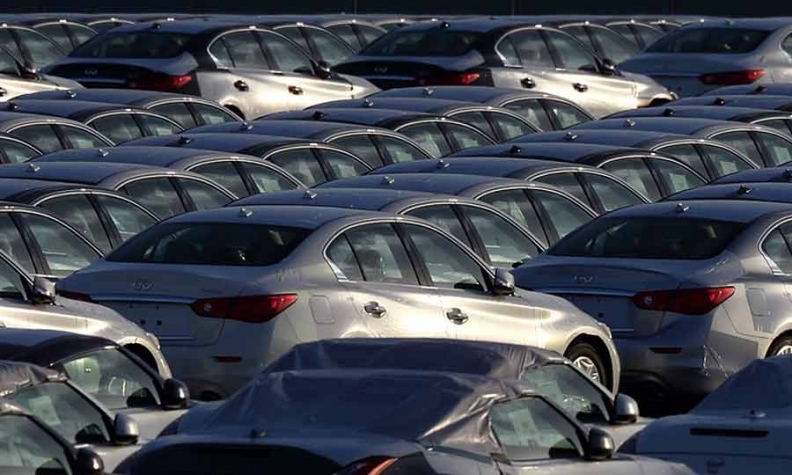 The Commerce Department in May launched an investigation into whether imported vehicles pose a national security threat. President Donald Trump has repeatedly threatened to impose a 20 or 25 per cent import tariff on vehicles and parts. Last month, two major U.S. auto trade groups warned that tariffs of up to 25 per cent on imported vehicles would cost hundreds of thousands of jobs in auto manufacturing, dramatically raise prices on vehicles, and threaten industry investment on self-driving cars. Major automakers have also filed comments warning of job losses and lost sales. At a July 19 hearing, those two groups, the Alliance of Automobile Manufacturers and Association of Global Automakers, will testify, as will the National Automobile Dealers Association, National Association of Manufacturers, Motors & Equipment Manufacturers Association and groups representing German and Japanese automakers, according to a draft agenda not yet made public. A Commerce Department spokeswoman declined to comment. Among those testifying are Canada, the EU, Mexico, and South Africa's ambassadors to the United States, along with other government officials from Korea, Malaysia, Taipei, Turkey as well as the China Chamber of International Commerce. Executives from Volkswagen, Polaris Industries Inc., LG Electronics Inc., auto parts supplier Jtekt Corp. and Sumitomo Rubber Industries. The Commerce Department had initially planned two days of hearings but now will hear testimony for one day. Commerce Secretary Wilbur Ross said in June he aimed to wrap up the probe into whether imported vehicles represent a national security threat by late July or August. Ross said in May "there is evidence suggesting that, for decades, imports from abroad have eroded our domestic auto industry." He asked for comments on "domestic production needed for projected national defense requirements."